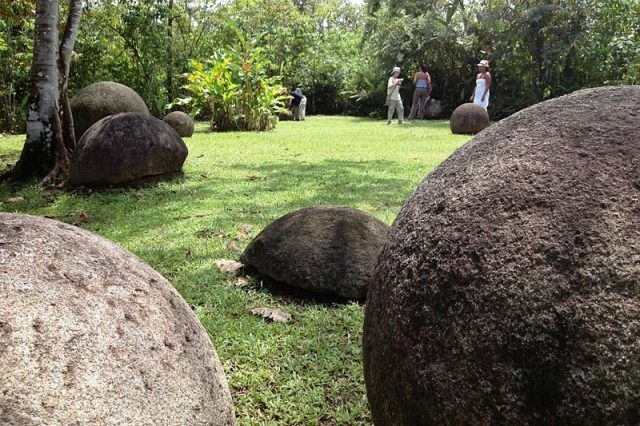 Costa Rica’s iconic stone spheres have been recognized for their value to World Heritage by the United Nations Educational, Scientific and Cultural Organization (UNESCO), bringing more international attention to the southern region’s mysterious past, as well as its contentious future. No one knows who made a single one of the pre-Columbian stone spheres, let alone why more than 300 were sculpted to near geometric perfection more than 1,000 years ago. Like Stonehenge and Easter Island, the petrospheres have piqued archaeological inquiry and fantastical supposition since the first examples were unearthed by banana plantation workers in the mid-19th century. Ranging in size from a child’s fist to a wrecking ball, some arrangements suggest that the spheres aligned with the stars or served as monumental compasses. Local lore has it that they were the playthings of a god hell-bent on controlling the weather, still other theories contend they make perfect instruments for ancient alien air traffic control. The truth is, no one really knows what the original sculptors had in mind or even exactly when they lived. 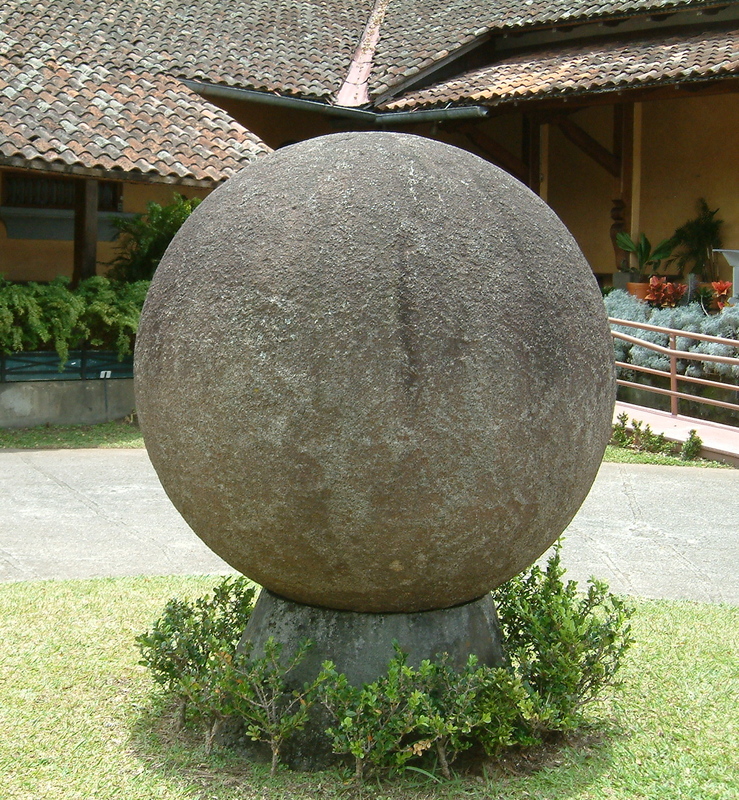 The stone balls of yore were probably hand-carved by ancestors of the Boruca, Téribe and Guaymi peoples in Southern Costa Rica. Some believe ancients formed the rocks by dissolving them with a plant-based potion, though many scholars refute this. The exact timeline of production is also a point of debate. Unlike organic materials, rock cannot be carbon-dated. The ages are based on associated materials, usually sediments and pottery shards found at the installation site, which indicated that they could have been made during an 1,800 year period. (For some perspective: that’s considerably longer than the Spanish Monarchy has even existed). 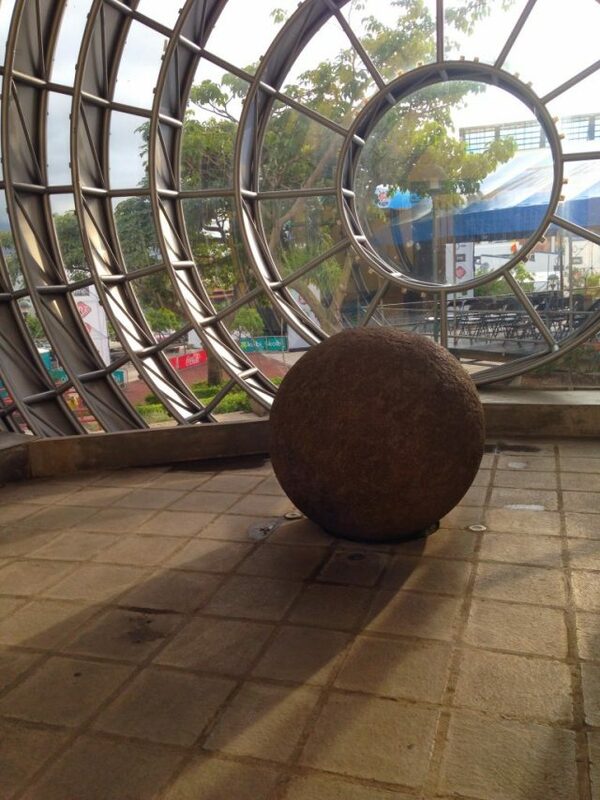 Some of the bolas are thought to weigh more than 15 tons. Others have been pocketed and used as mantle decorations. The UNESCO listing only applies to balls with a diameter of 70 cm or larger and its unclear how or if it will affect the many spheres that have been removed from Costa Rica. Of more than 300 recorded petrospheres found in the southern region about a dozen remain in their original context, according to an educated estimate by John W. Hoopes, an archaeologist whose research contributed to the UNESCO listing. “The main that this listing does is draw worldwide global attention to this site and others. The conservation of the site is ultimately the responsibility of the country in which its found,” Hoopes said via Skype. Most if not all “in situ” spheres left are at the four locations recognized as international patrimony by UNESCO this week: Finca 6, Batamba, El Silencio and Grijalba 2. A new museum at Finca 6, a former banana plantation, gives the public a chance to the spheres as they were originally arranged. The rampant damage and dispersion of the spheres began after United Fruit Company workers uncovered the first examples while clearing banana fields in 1940. Since then many spheres have been rolled into gullies and ravines. Others were burned and cracked by fire when land was cleared for plantations and farms. Still others were dynamited, or sent to faraway lands and used as prized lawn ornaments. Paris has one, so does Harvard. Some were stolen, others sold to the highest bidder. 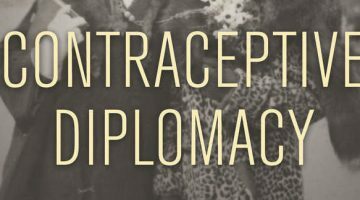 The predominate human impulses upon encountering these testimonies to human heritage seem to be: a) dig it up, b) roll it away or c) blow it up and hope gold falls out. 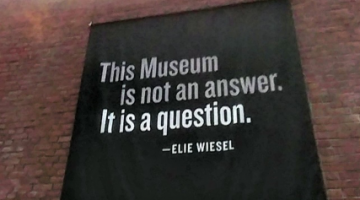 (It doesn’t). The solid rock used to make most of the spheres came from the Talamanca Mountains and was probably naturally flooded to the lowlands down the Térraba River to the Diquís valley, where boulders would have been collected and transported upwards of 50 miles to some installation sites. Today the Diquís valley is the planned site for the largest hydro-electric project ever in Central America, a dam on the Superior General River between Buenos Aires, Osa, and Pérez Zeledón. In the works for more than 40years, construction began in 2009, but was stalled in 2011 by a lawsuit over indigenous rights and remains delayed by the construction of an associated pipeline. The El Diquís project would flood 6815 ha (27 sq mi) to create 631 megawatts of power for 1 million consumers, according to the Institute for Costan Rican Electricity ICE. It would inundate protected indigenous territories, displacing at least 1,500 people and “irremediably affecting” 150 archaeological sites, according to an impact summary by the University of Costa Rica. 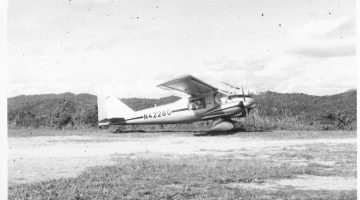 This essay was originally posted on the website of the Academia Tica Spanish Language School in Costa Rica. For more about the World Heritage site designation, check out this article en español. 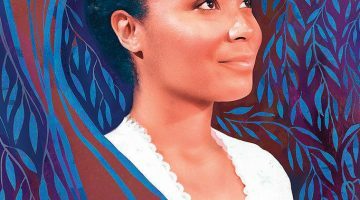 Emily Jo Cureton is an artist and writer who graduated from UT Austin with Honors in History and now lives in Costa Rica. You can see more of her work on her website.